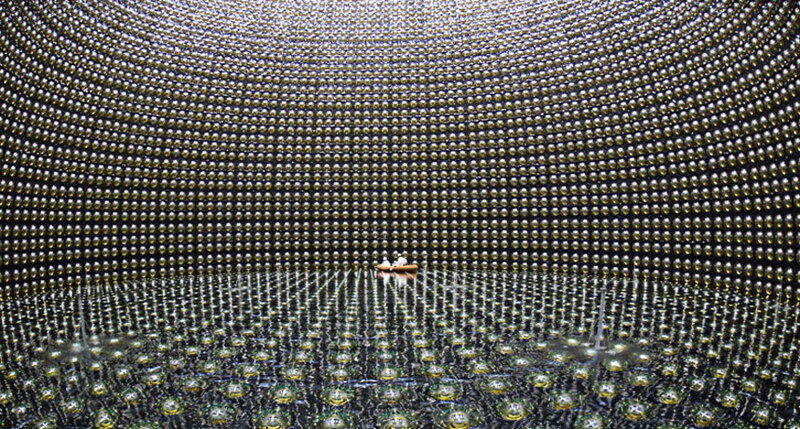 Rogue nations that want to hide nuclear weapons tests may one day be thwarted by antineutrinos. Atomic blasts emit immense numbers of the lightweight subatomic particles, which can travel long distances through the Earth. In general, the particles - the antimatter twins of neutrinos - are notoriously difficult to spot. But a large antineutrino detector located within a few hundred kilometers of a powerful nuclear explosion could glimpse a handful of the particles, scientists report in the August Physical Review Applied. An antineutrino detector wouldn't spot an explosion solely on its own, but would use seismic activity picked up by existing sensors to trigger a search for particles arriving from a suspected blast. It's "a very smart and clever idea," says physicist Patrick Huber of Virginia Tech in Blacksburg. A global network of sensors already gathers detailed information about nuclear explosions by monitoring for telltale seismic activity and radioactive isotopes. In recent years, those sensors have revealed details of North Korean nuclear tests performed underground (SN: 8/5/17, p. 18). But if those sensors were unable to confirm that a nuclear explosion occurred, spotting antineutrinos would eliminate doubt, says study coauthor and physicist Adam Bernstein of Lawrence Livermore National Laboratory in California. "If you see a burst of antineutrinos, there's really no other way you could have gotten that," he says, aside from an exploding star in the Milky Way (SN: 2/18/17, p. 24). Those stellar bursts are rare events unlikely to coincide with a seismic signature. And while stealthy bomb makers might be able to contain an explosion's radioactive isotopes or mask some of its seismic signals, there's no way to stop antineutrinos from escaping. Neutrinos could also provide information about how powerful the explosion was and what type of nuclear weapon was used.